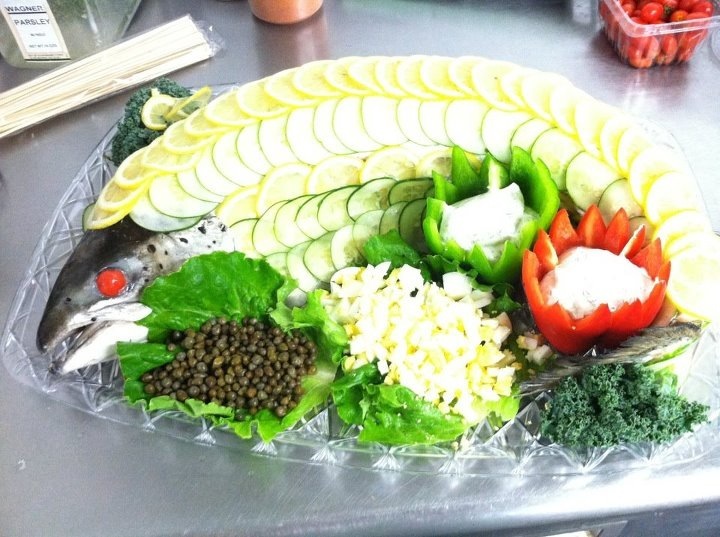 With a couple days notice we can create a poached salmon platter that will have your guests talking! Comes completely garnished and with all the extras to make this centerpiece both attractive and delicious! If you've already looked through our platter list and nothing fits your needs, please give us a call to customize your perfect platter. We are up for a challenge so please don't hesitate to call! Want to impress your guests? Click here for some great recipes that are sure to please! Annapolis Seafood Markets provides only the finest fresh seafood. 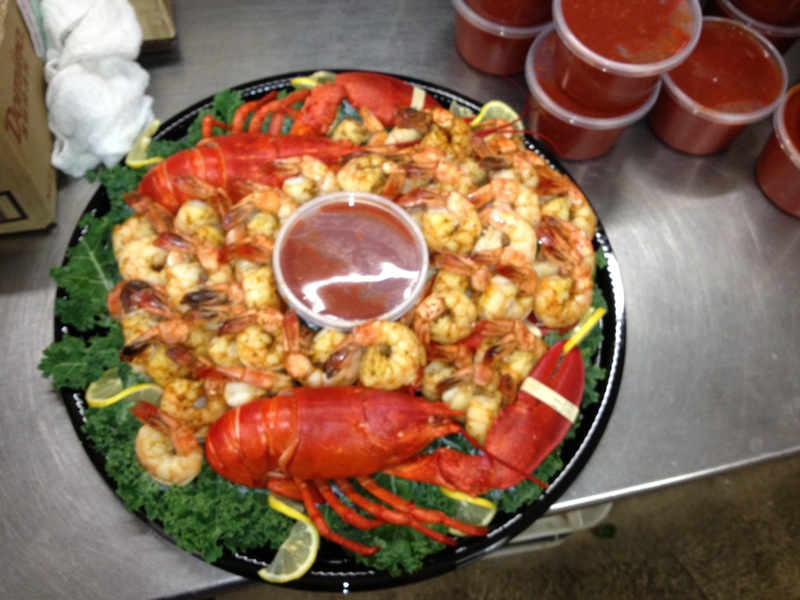 Please click here to view our menu and browse our seafood choices. Many of the fillets you see in our markets we fillet in house that morning. When buying seafood dont hesitate to ask what was cut that morning. Some of the more popular fish that we cut in store include Tuna, Swordfish, Farm/Wild Salmon, and Halibut. We also carry a variety of head fish that we will gladly clean and cut to your specifications at no additional charge. 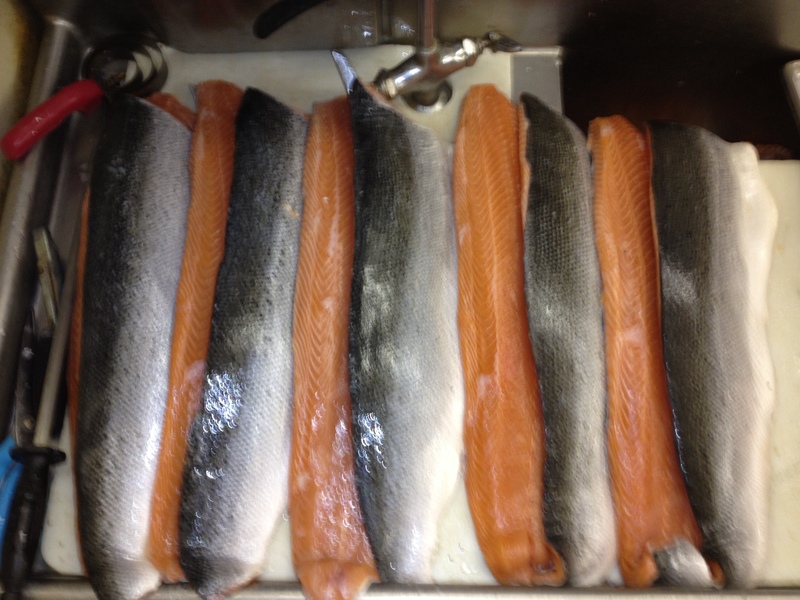 Come in today and have us take care of your fresh fish for tonight's meal. We aspire to be the leaders in our industry. We believe teamwork and cooperation are essential to create an edge over the competition. We will strive to provide maximum satisfaction for our customers through quality products; fair pricing, superior performance, personalized service; and efficient and effective operations. We believe that quality service and innovation are the foundation on which profits are built.